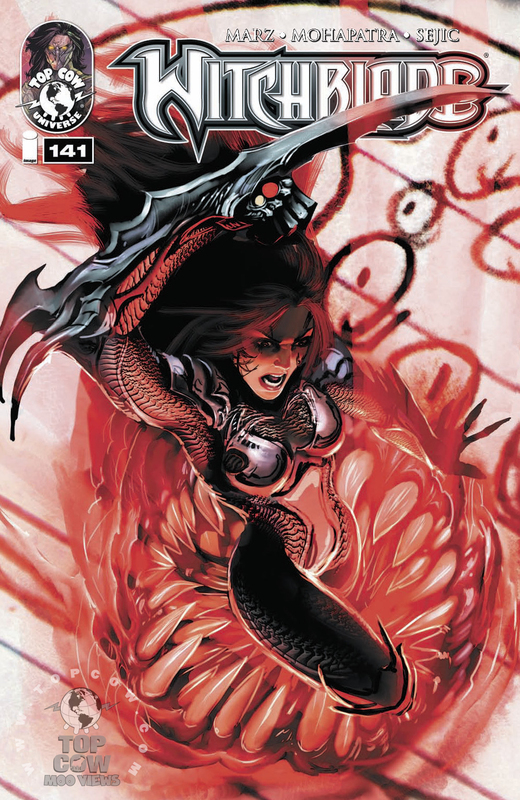 The second of a simple two-parter, Witchblade #141 is a pretty entertaining comic, and one I didn’t know how it’d conclude. Written by Ron Marz and Saurav Mohapatra the “Paper Monsters” storyline is pretty straightforward but entertaining. The villains, children who can create monster. The dilemma, how do you deal with them? The story was entertaining and I liked the quandary that Sara Pezzini’s in when it comes to how to deal with it. It’s not like you can arrest the kids, or kill them (well you could, but I doubt Marz or Mohaptatra are that twisted). The main chunk of the book is Pezznini and her partner fighting monsters, but it still works thanks to art by Stjepan Sejic. Sejic’s art just rocks with this issue, and I know I’m often times critical of it. I really enjoyed it, as it added greatly to the mood. This is the conclusion of a two part story, and it’s a fun one overall. If you’ve never read a Witchblade comic these two issues are great ones to pick up to see what it’s all about. Simple and fun.